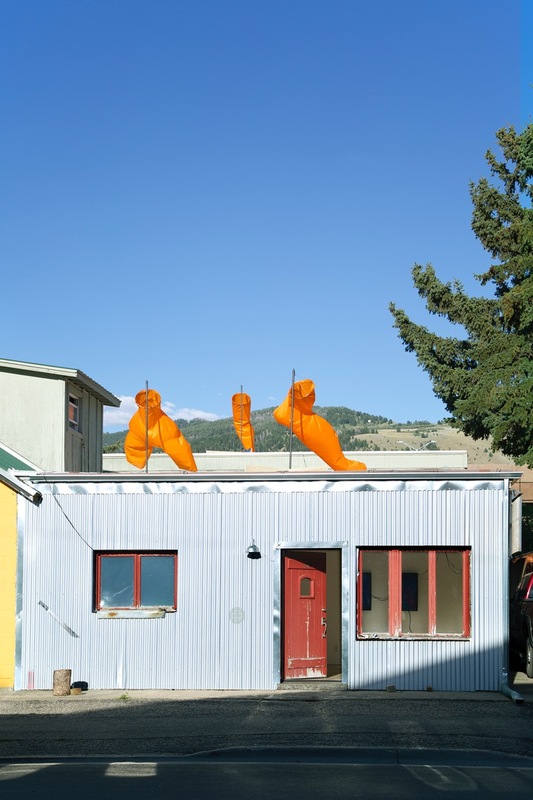 Wind socks which resemble a foot, hand, and hips are installed on the roof of a gallery. 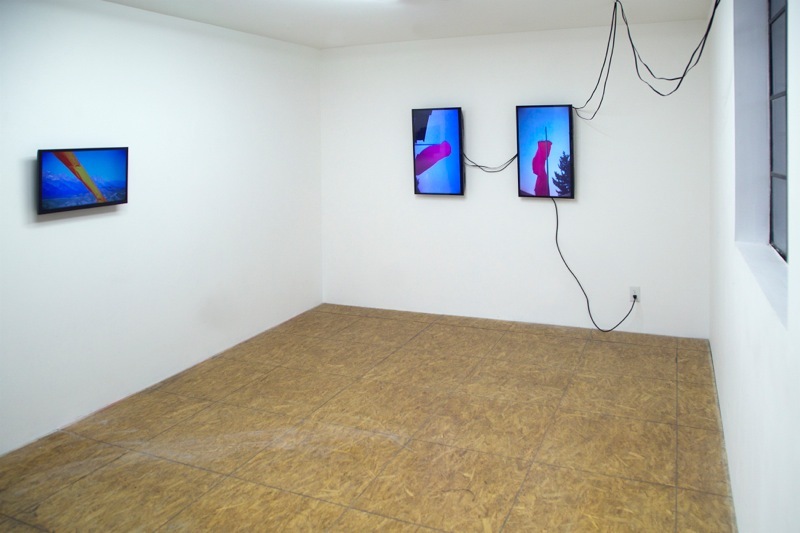 Inside, live and recorded video of the windsocks plays on monitors. 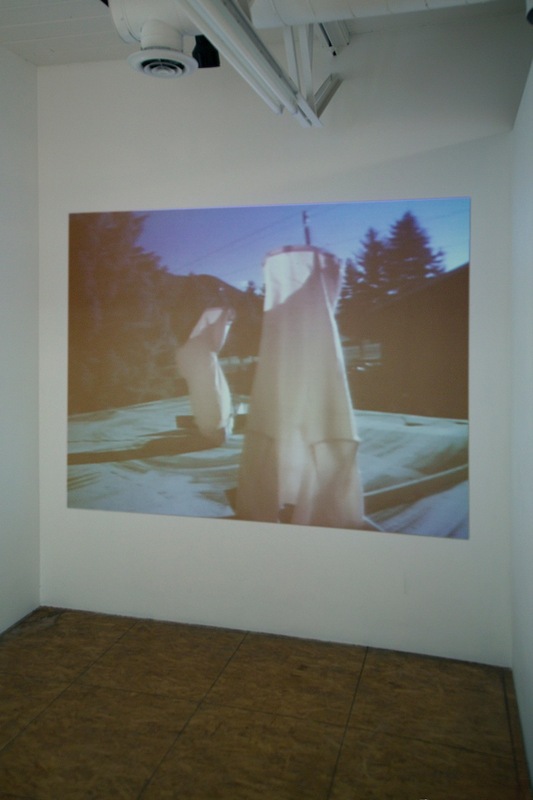 The videos showcase them against the Wyoming landscape in various states of animation. 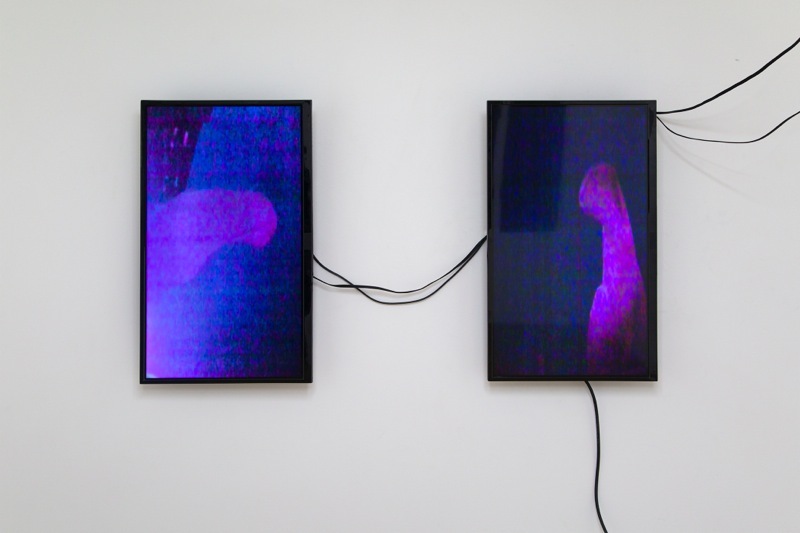 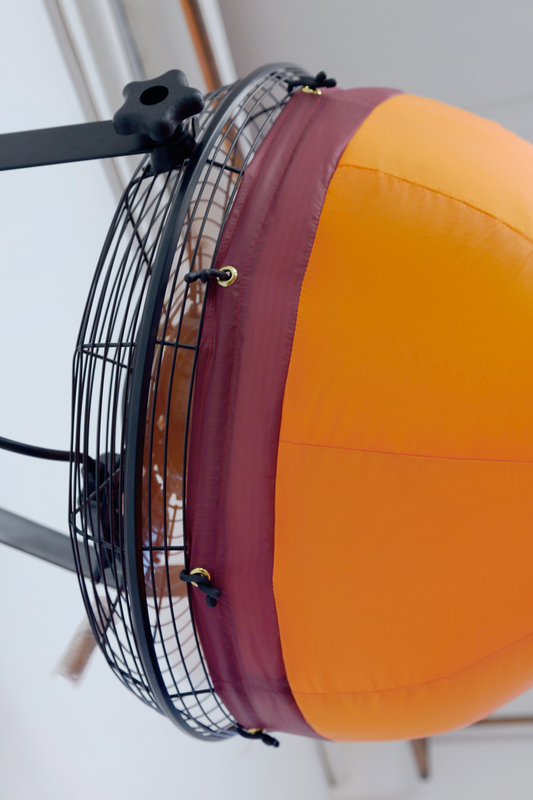 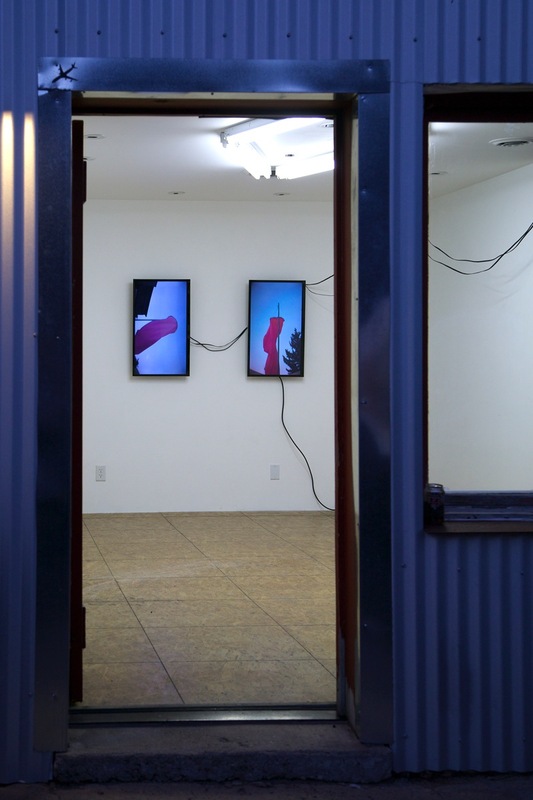 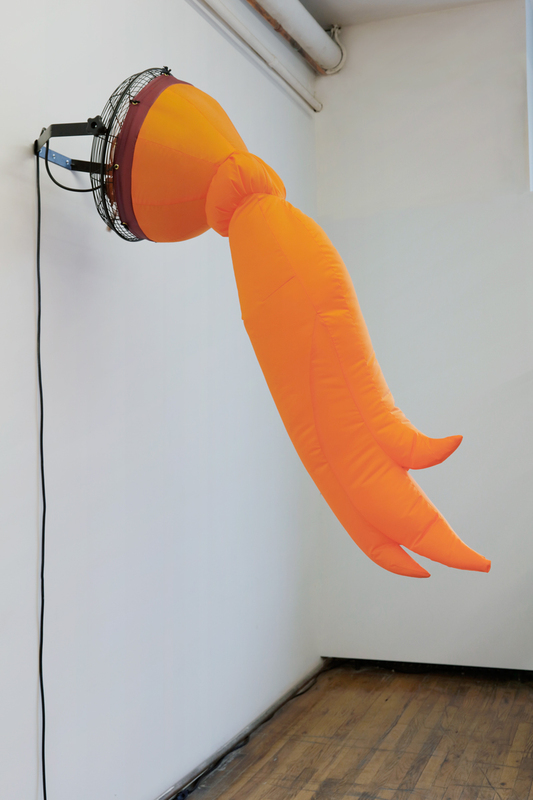 Ponytail, 2016, ripstop nylon, electric fan, grommets, rubber ties, 72 x 18 x 44"
Installation pictures from Eternal Wobble at Los Ojos, Brooklyn, NY, Jan - Feb, 2016 -- click here.